In an interview for Sputnik, Hediye Yusuf, the co-chair of the Constituent Assembly of the Rojava Democratic Federal System, commented on the current situation in the region, and Rojava's plans for the future. She emphasized that the Syrian Kurdish proponents of federalization and autonomy would not allow Syria to be broken up. Earlier this year, the de facto Kurdish administration of northern Syria declared the establishment of a federal system – the Federation of Northern Syria-Rojava. Speaking to Sputnik Turkey, Constituent Assembly co-chair Hediye Yusuf emphasized that while the region's administrators seek autonomy, they do not seek the country's destruction. "We believe that a federal system is ideal form of governance for Syria," the official said. "We see that in many parts of the world, a federal framework enables people to live peacefully and freely within [inter]territorial borders in the country. The people of Syria can also live freely in Syria. We will not allow for Syria to be divided; all we want is the democratization of Syria; its citizens must live in peace, and enjoy and cherish the ethnic diversity of the national groups inhabiting the country." 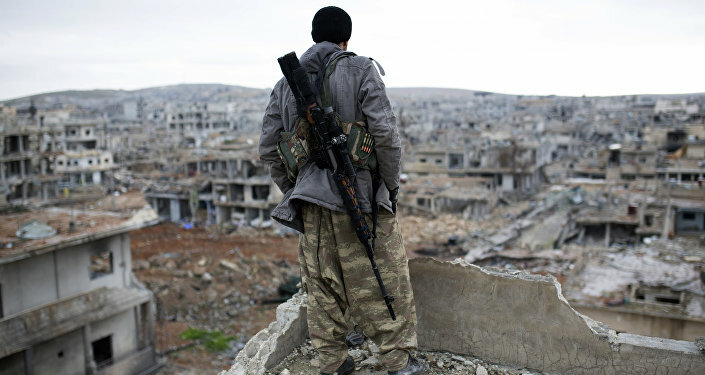 At the moment, Yusuf noted, the federation "has declared democratic autonomy in the cantons of Kobani, Jazira and Afrin; thanks to this, we have experience in establishing autonomous governance. The cantons of Kobani and Jazira have united among themselves. Efforts are being made to integrate Kobani and Afrin. If this occurs, the regions of northern Syria will become united into one entity. Our system covers not only Kobani, Jazira and Afrin – it covers almost the whole of northern Syria. We have been able to include over three-quarters of the territory of northern Syria" (within the self-proclaimed federation). Asked about Rojava's problems garnering international recognition, Yusuf emphasized that its constituents had been "the only ones fighting for the security of the people of northern Syria throughout this whole period." Government forces, she complained, "did nothing when Daesh took control of Kobani." For this reason, she noted, while Damascus has yet to recognize the autonomous region, "we did not expect that it would. We proclaimed the federation based on the will of the people." At the same time, Yusuf noted that "at present, we support military cooperation with the United States and the coalition members conducting a joint struggle against terrorism. However, to date neither the United States nor other coalition countries, or any other states, have been willing to support us on the question of a federal system of governance." Nonetheless, the official noted, "we are carrying out diplomatic work in this direction." Asked about the prospects for developing relations with Russia, Yusuf asserted that "maintaining contacts with Russia, and the exchange of views on key issues, is our right. We want to develop and maintain good relations with Russia, the United States, France and other countries which play a key role on the Syrian issue. We intend to use our right and express our position through diplomatic channels."